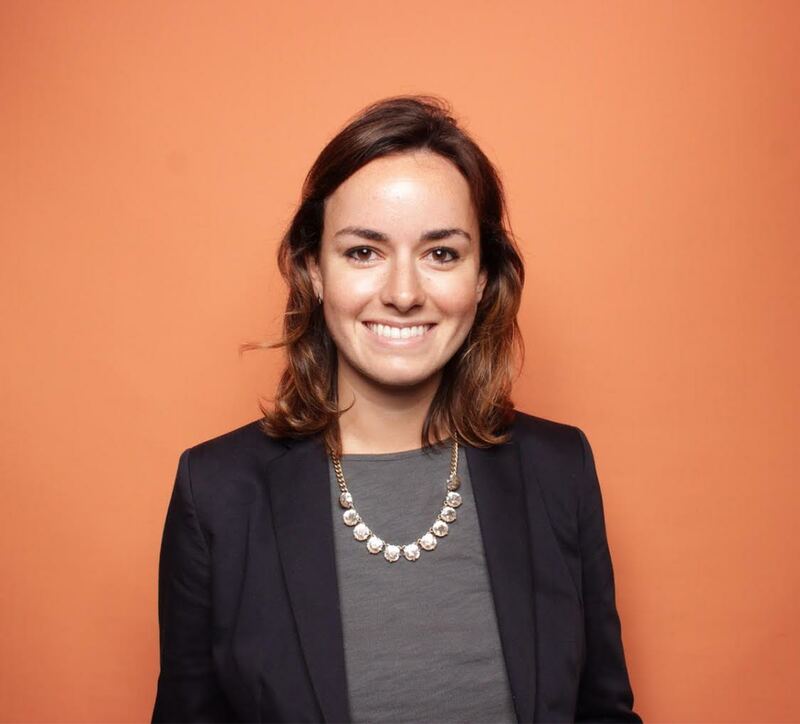 If you spend your workday talking on the phone with customers, odds are, you're sitting next to teammates and colleagues who are doing that, too. 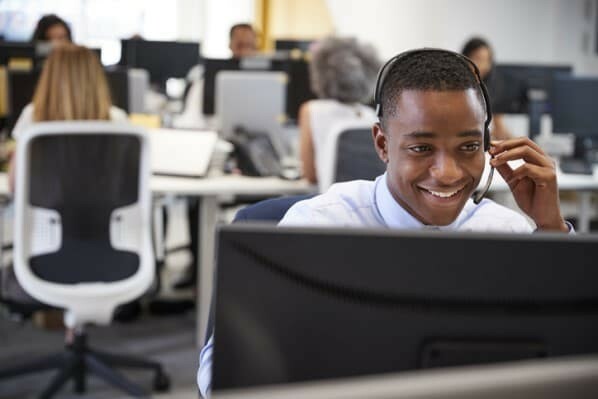 And in a busy open office floor plan or packed call center, too much background chatter could be distracting — for you, or for your customer on the other end of the line. 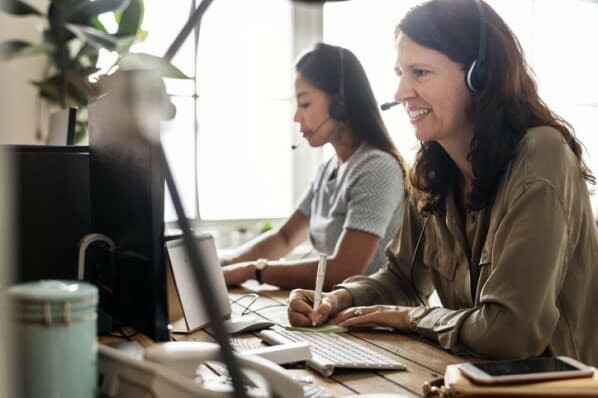 So we've rounded up some of the most highly-rated, high-performing wireless headsets on the market that will make doing your job — connecting with customers — as easy and clear as possible. 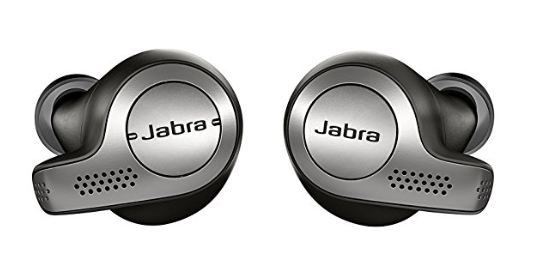 Jabra's newest wireless headphones are chock-full of cool features, including dual microphones in each earbud, a side-tone feature that allows you to hear your own voice as you speak, and they can connect to Alexa, Siri, and the Google Assistant. You can purchase these headphones as truly wireless, or you can order them with a neckband so they can hang on your shoulders when not in use. The background noise filter ensures your customers won't hear anyone else talking, even if your colleagues are all chattering away around you. Buy them on Amazon or Best Buy. 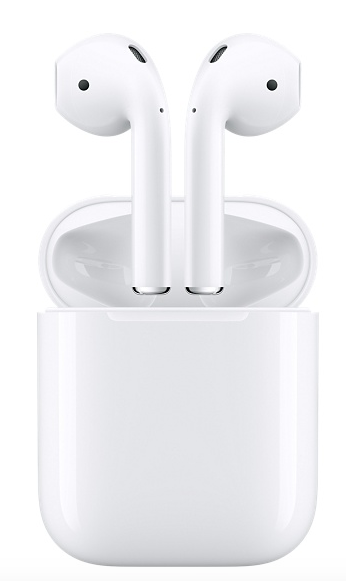 I'm an AirPods user myself, and my favorite thing about them is how easy they are to use when switching between listening to music and talking on the phone, or listening to my computer or my cell phone. If you want wireless headphones that will easily take you from the office to the gym and back home, these highly-rated Apple headphones will do the trick. Buy them on Amazon or Best Buy. 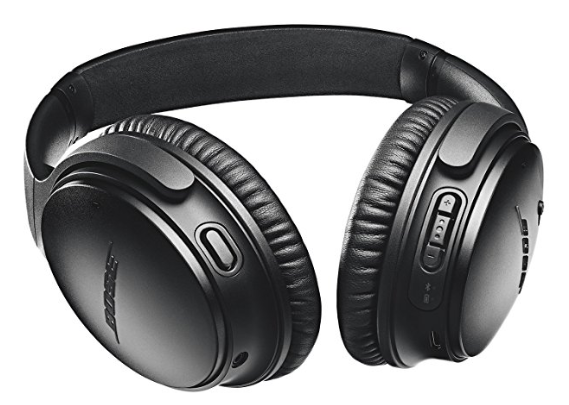 Bose has made a name for itself as the definitive brand for cancelling out ambient background noise, and whether you're on a noisy airplane or talking in a busy call center, these headphones feature dual microphones, customizable noise cancellation, and super-comfy headphones that won't bother your ears or head to wear them all day. Buy them on Amazon or Best Buy. 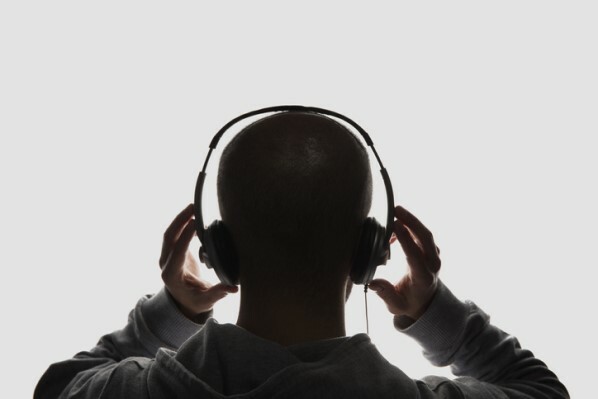 If you don't want to deal with actually wearing headphone on your head, but you also don't want earbuds to fall out of your ears, wireless headphones with a neckband may be the headset for you. 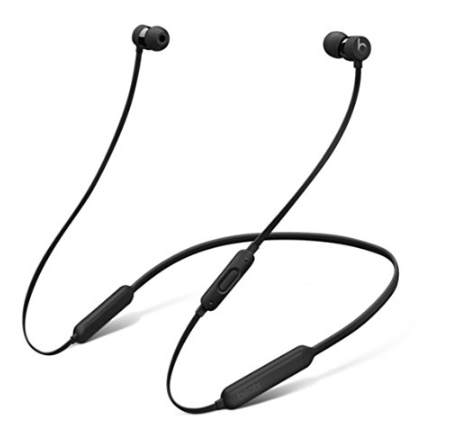 BeatsX headphones come in a variety of different colors and can rest over your shoulders when they aren't in your ears. You can also select different eartip options to customize them — because every ear is different — and the noise isolation ensures that even in a busy office, your customers will be able to hear you, loud and clear. Buy them on Amazon or Best Buy. If you're buying headsets for a large customer-facing team, Logitech's wireless headset offers a high-quality option at a low price. The comfortable, adjustable headset can be used up to 10 meters away from your computer, and the headset is compatible with applications like Skype and Google Hangouts if you're making online calls. It also has an eight-hour battery life that will power you through a typical workday of customer calls. Buy it from Amazon or Best Buy. If you're looking for a top-of-the-line wireless headset that includes a mic, then look no further than this pair. Jabra headphones are excellent quality and are comfortable to wear throughout the day. Unlike other headphones, this pair isn't as bulky which makes them less likely to cause customer service reps facial soreness. It also includes dual Bluetooth connectivity which allows you to connect the set to multiple devices at once. Your rep can be working on their computer, and then seamlessly transfer the call to their phone to take a case mobile if needed. Buy them on Amazon or Best Buy. Aside from just looking pretty cool, this set is a perfect pair to consider when looking for a good deal on customer support headphones. This pair focuses on providing the highest quality of audio, for the best price possible. It has dual 40mm speakers and a built-in microphone that's designed to pick up only the wearer's voice when speaking over the phone. 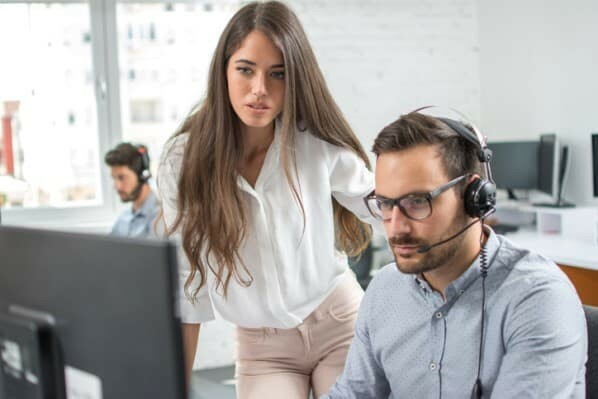 If you work in a busy or loud call center, this feature can be vital to ensuring clear communication between reps and customers. It also includes an easy to plug-in set up that's compatible with any PC. Buy them on Best Buy or Staples. The Audio-Technica BPHS1 was designed to be used for interviewing and support calls. It's an all-around, high-quality headset that minimizes distraction for both the rep and the customer. It has a "closed-back" design that prevents sound from escaping through the ear pads. This not only creates better audio, but it also reduces sound leakage which can be a nuisance to surrounding reps. The microphone even has a cardioid polar pattern which "offers outstanding off-axis rejection of unwanted sound." Buy them on Amazon or Sweetwater. This lightweight headset is great for customer service teams that want to have some physical freedom when on call. Often times customer support teams are rooted to their desk or commuter, but with the B350-XT reps can stand up and even move up to 66ft away from their workspace while they work on a call. The pair also offers 96% noise cancellation and HD voice clarity to ensure the highest quality audio. Buy them on Amazon or Best Buy. 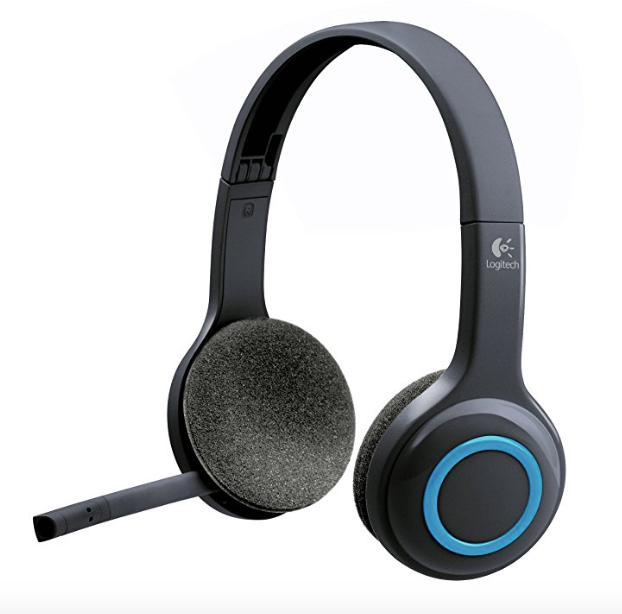 This headset is great for customer service teams that are looking for convenience. Monoprice has a microphone built into the headphone, so your reps won't have to worry about bumping that pesky mic when they speak. It also has active noise reduction circuity that can be toggled on and off to conserve battery life. Finally, it even includes a splitter device that can allow you to connect another wired headset into a call. That feature can be great for training new reps and conducting call shadows. Buy them on Amazon or Monoprice. If you're looking for something different to use on your customer service team, these earbud-style headphones are a perfect balance between quality and comfort. The Stay Hear+ tips provide increased stability that prevents the earbuds from falling out of place. There's also an "aware mode" feature that turns off noise cancellation and allows you to hear background sounds and voices. This comes in handy if coworkers need to quickly gain each other's attention while working on a case. Buy them on Amazon or Best Buy. To learn more, read more about how to talk like a human on customer support live chat next.